Sasa jumping across the unwanted monument at Unlcinj. The 'spomenik' stands proudly overlooking the town but for many residents, this structure is an uncomfortable reminder of a history that would be best forgotten. Having driven for an entire day, we spent several hours trying to figure out how to get on top of this sculpture, drawing the interest of a few friendly locals and equally friendly police officers. 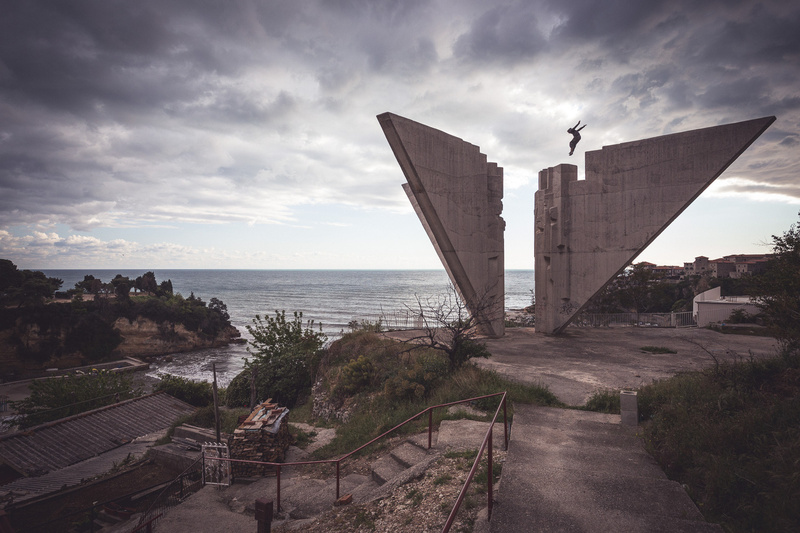 The image is part of a large series of work that examines the role of the monuments across Former Yugusolavia and considers parkour's role in creating a culture that sees international borders as opportunities for discovery, not societal division.